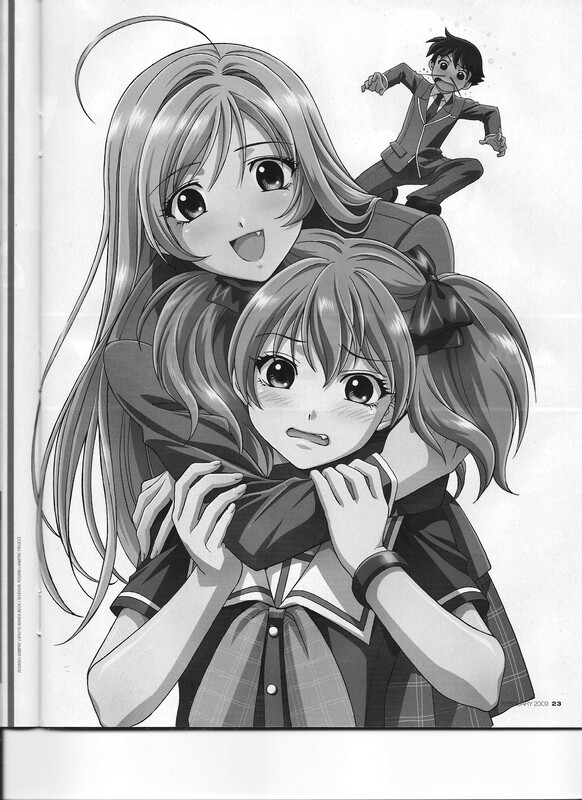 An interview with Rosario to Vampire director Takayuki Inagaki which touches on why the anime differs from the manga; notably, time/budget constraints would have made it difficult to do a good action show, so he opted for a more comedic approach. 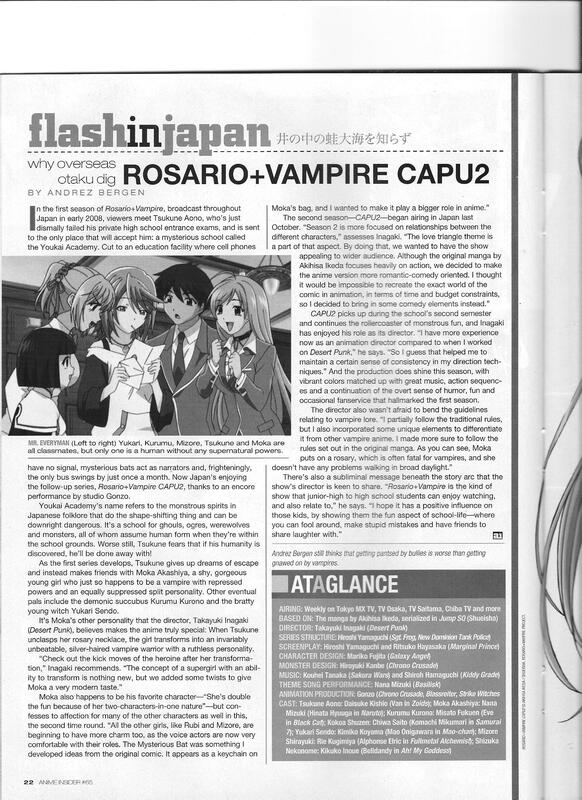 This entry was posted in Old Magazine Articles and tagged Anime, Borderline Plagarism for the Freedom of Information, Rosario to Vampire, Takayuki Inagaki by torisunanohokori. Bookmark the permalink.